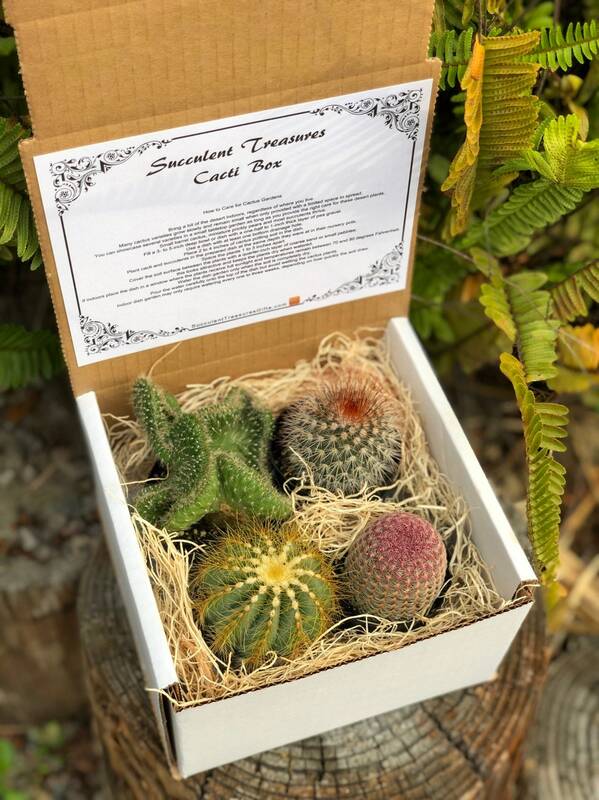 The perfect unique living gift! 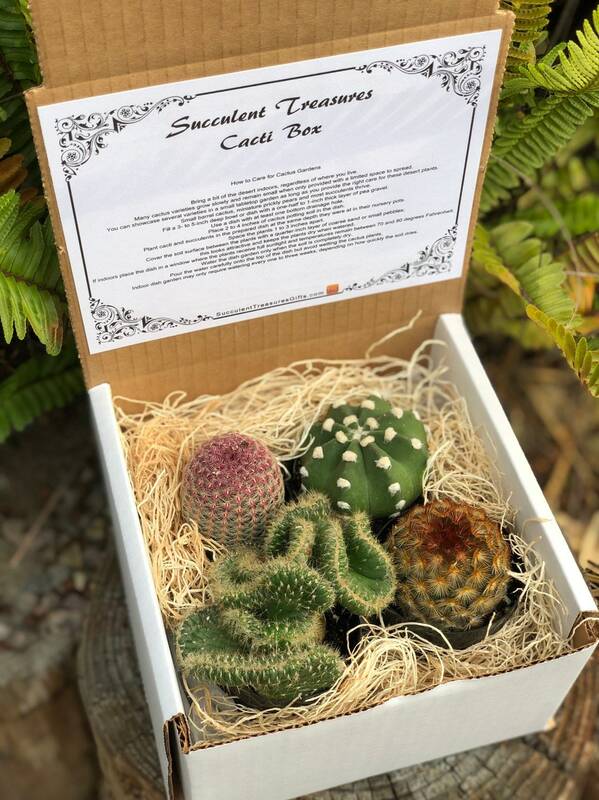 Our 4 pack Assortments are of 2.5" rooted premium plants. These are a great collection for yourself a friend or a loved one! Just in time for holiday gift giving. I try my best to get the same selection as shown but due to hybrids and the wide unique selections some boxes may slightly vary. These assortments are of excellent texture, color, quality and are fully rooted. Plants will need potted shipped semi bare root. 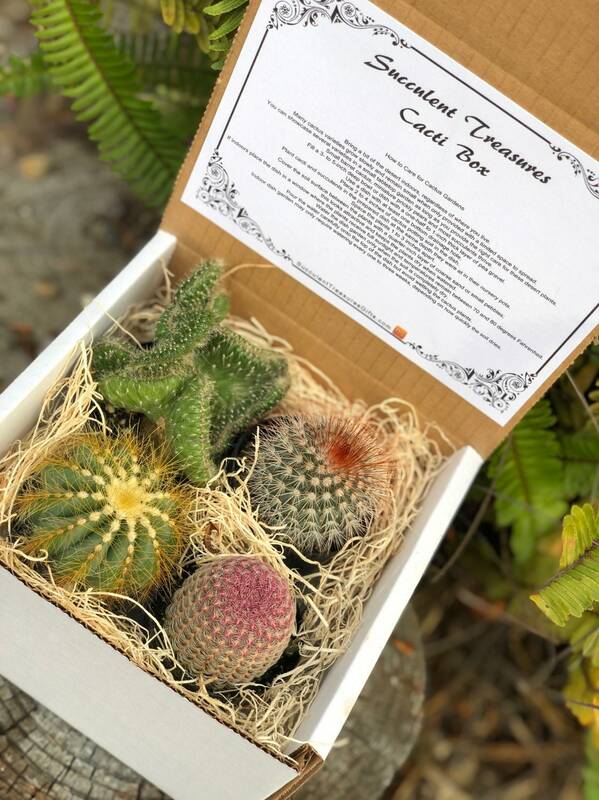 +Please note that the plants used are frost tender and cannot be shipped if your daytime temperatures are below 40F.Heat packs must be purchased. * When purchased you can ask for a later ship date. Being an independent business we rely on third party carriers and thus are not responsible for their mistakes. Items usually ship within 7-10 working buisness days of receipt of payment unless special instructions have been provided. Recipients should read opening instructions and open upon arrival. All items must be photographed the day of arrival if there is a problem. There are no returns or refunds with live plants. However, if there is a problem or an item arrives damaged (this does not include minor imperfections such as small spots, streaks, or slight color shade variations) please contact us and we will do our best to resolve the situation. If you have any problem with your order please send us a message or an email before leaving feedback so we can resolve it for you. Plants are not always actual plant shown. It will be stated if so. Saturday & Sunday's are not counted in processing time.